Save cash by booking a Kitries vacation package. Just select your favorite options and let Expedia do the rest. Pick from more than 400 partner airlines and 321,000 worldwide properties via our extensive database of flights and lodgings. Fly with who you want, stay where you like — now that's the ideal vacation! It can be quite nice to just stroll around the streets when you're in a new place, but sometimes it's wise to come up with a plan. Grab your travel schedule — we have loads of wonderful ideas for your impending Kitries vacation. Are you ready for some snowboarding? It's one of the most popular things to do in the wider region and the ideal excuse to get out into nature. Still have time on your hands? When you've checked that off your list, create more unforgettable memories by going skiing. If you're on the lookout for a place to kick your feet up in the center of Kitries, you may be out of luck. That said, you'll find 13 properties each within a short distance. Luxury getaways and cheap vacations — Expedia can help you out. Need help searching for a warm bed to sink into at night? Our leading recommendations are the Horizon Blu (217, Navarinou Str) and the Filoxenia Hotel (Navarinou Street). Let's be honest, nobody really enjoys waiting around at the airport. However, if you start imagining the exciting trip to Kitries that you're about to have, it becomes less arduous. After all, you'll be only 10 miles (16 km) northwest of the neighborhood center when you file off the plane at Kalamata International Airport (KLX). Situated in West Mani, this apartment building is 4 mi (6.4 km) from Mikri Mantinia Beach and within 12 mi (20 km) of Almyros Beach and Historical and Folklore Museum of Kalamata. Military Museum of Kalamata and Kalamata Municipal Central Library are also within 12 mi (20 km). 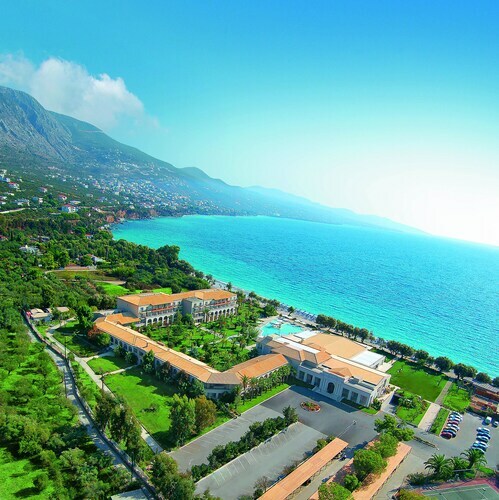 Nestled on the beach, this Kalamata hotel is within 3 mi (5 km) of Almyros Beach, Mikri Mantinia Beach, and Municipal Railway Park of Kalamata. Historical and Folklore Museum of Kalamata and Military Museum of Kalamata are also within 3 mi (5 km). 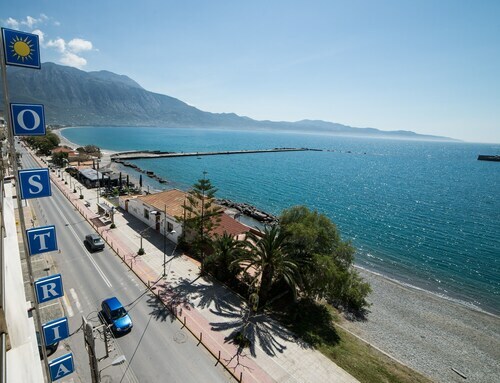 Offering direct access to the beach, this Kalamata hotel is within 3 mi (5 km) of Almyros Beach, Municipal Railway Park of Kalamata, and Pantazopoulio Cultural Center. Historical and Folklore Museum of Kalamata and Military Museum of Kalamata are also within 3 mi (5 km). 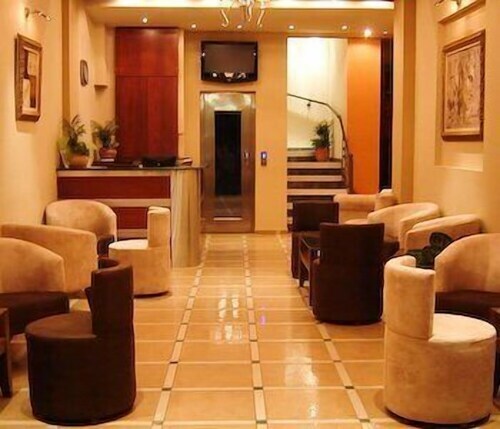 Situated near the airport, this hotel is 0.5 mi (0.8 km) from Almyros Beach and 1.7 mi (2.7 km) from Mikri Mantinia Beach. Military Museum of Kalamata and Kalamata Municipal Central Library are also within 6 mi (10 km). 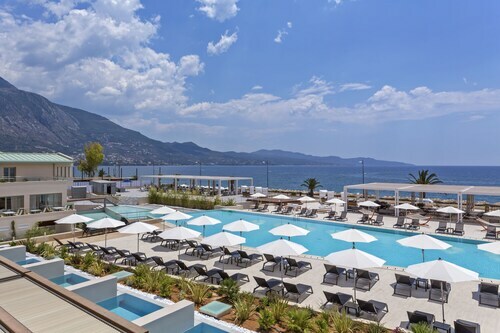 Located in Kalamata, this beachfront hotel is on the boardwalk and within 2 mi (3 km) of Municipal Railway Park of Kalamata, Pantazopoulio Cultural Center, and Historical and Folklore Museum of Kalamata. Military Museum of Kalamata and Kalamata Municipal Central Library are also within 2 mi (3 km). Wed., 30 Oct. - Fri., 15 Nov. Sun., 30 Jun. - Thu., 11 Jul.